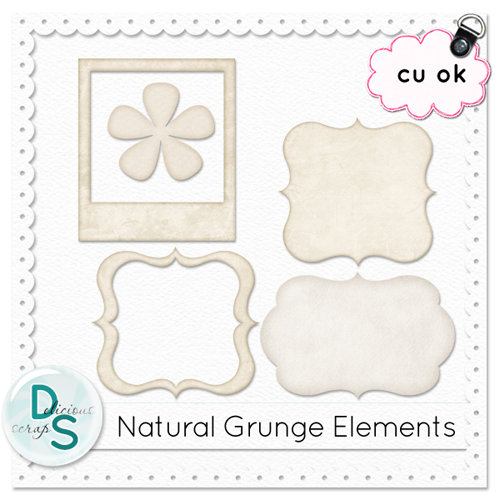 I have a new set of CU styles in my shop called Nature Grunge. Includes 3 different styles in both bevelled and regular versions and is on sale for $1 at my shop!! Also, this is a set of elements made with THESE STYLES!! Click on the image to download them! Thank you for another wonderful set of CU goodies! You are da bomb! Thank you for sharing your grunge set. Have a great day.